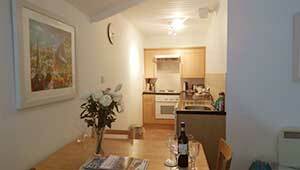 This really is an exciting place to stay, a quiet little hideaway in the heart of Edinburgh, memorably close to the towering presence of Edinburgh Castle, and with plenty to see and do on your doorstep and the rest of the historic city within walking distance. The Grassmarket is Edinburgh's most lively square, with cafés, restaurants, pubs and shops all around a big tree-dotted pedestrian area. Just walk up curved Victoria Street past more interesting shops and restaurants and there you are on The Royal Mile. The apartment is in Porteous Pend , a small close , so a quiet apartment but yet so central. It has wifi and a large screen TV. 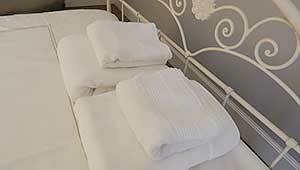 There is a Laura Ashley day-bed in the sitting room which turns into 2 full size single beds so 4 people can stay. The sitting room also has a reclining sofa to seat three and 2 comfy chairs. The kitchen is a small, galley style and is well equipped with an electric cooker, fridge, washing machine and microwave. 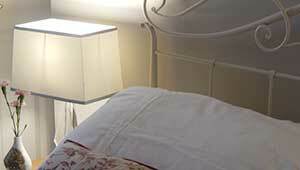 The double room is pretty with a comfortable wrought iron bed and a fitted wardrobe and chair.